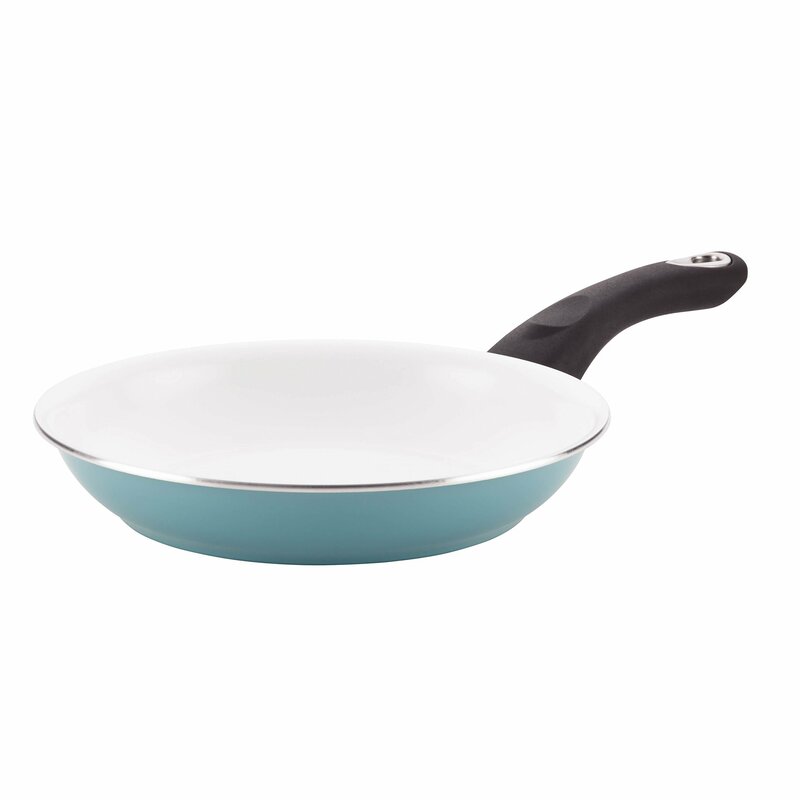 Color: Aqua Cook favorite snacks and family recipes and enjoy discovering new dishes withthe nonstick action and cooking performance of the colorful Farberware pureCook Ceramic Nonstick Cookware 8-1/2-Inch Skillet. Farberware pure CookCeramic merges durable cookware construction with innovative PFOA-, PTFE- andcadmium-free ceramic nonstick that provides superb food release. The aluminumskillet heats fast and evenly, perfect for everything from basted breakfasteggs to beautifully seared skinless chicken filets. A fresh, distinctive whitenonstick interior gives even basic cooking process a bright, bold look. Evenbetter, the skillet features a unique quilted cooking surface to boost thenonstick food release, as well as for terrific browning and searing when andwhere it counts. The colorful porcelain enamel exterior is stain-resistant andeasy to clean, and the sturdy handle sports a convenient hanging ringstylishly accented with stainless steel. Oven safe to 350 DegreeF, thisFarberware skillet includes a Farberware Lifetime Limited Warranty. Rely onFarberware to merge innovative ceramic nonstick with dependable cookwareperformance, in the durable, dishwasher-safe Farberware pure Cook CeramicNonstick Cookware 8-1/2-Inch Skillet.